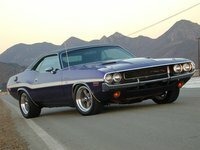 Users ranked 1970 Ford Mustang against other cars which they drove/owned. Each ranking was based on 9 categories. Here is the summary of top rankings. 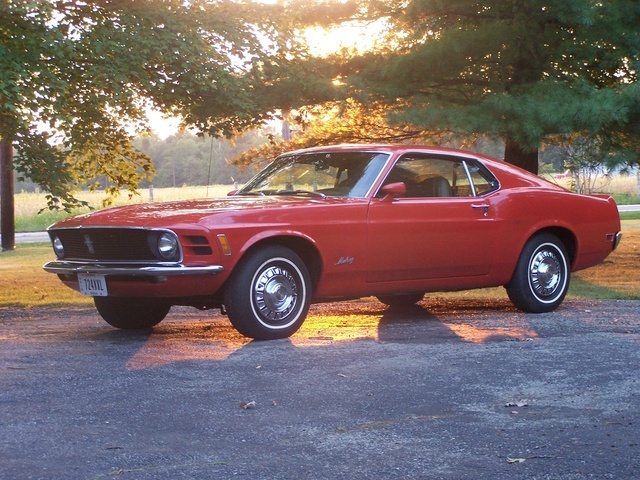 Have you driven a 1970 Ford Mustang? Displaying 21 - 30 of 31 1970 Ford Mustang reviews. 1970 Ford Mustang Convertible — Awesome car. Great classic car. Sporty, fast, reliable, easy to do anything or work on. CarGurus has 39,421 nationwide Mustang listings starting at $1,900. If It Were A Woman, I'd Marry It....... Not Really — 1970 conv. mustang with a ford 289 engine, 2-barrel carb. , automatic trans., dark metallic green paint job. Go-fast Ragtop!!! 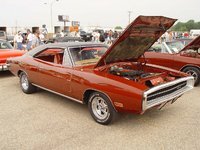 — In spite of one underhood fire, the old 70 would go zero-60 in a one time best of 4.9 seconds and pull down 22 mpg after rebuilding the carb. I miss that car the most of all the Mustangs I've had, it was the closest thing to a Shelby that I'll probably ever own unless my numbers for the 649 come in... words can't describe. Cons: Underhood fires when Daddy's driving. "the Boss" — Just riding around, everybody and their Mother wants to race. Racers from the xyz era agree they all have fast cars these days, but the fast cars we're built from the "Muscle Car" era, in my opinion. This one is at the end of that era. It runs a 10.03 all day long and it can do better if I change the diamond-tip points every 2-3 runs. Never got a "thumbs down" from even a Chevy lover! I once came out of the hole at 7200 rpm's and when the wheels hit the ground, my radiator cracked and shot anti-freeze all over my windshield! Pretty hard to stop when you can't see. Guys and gals, race 'em if you got 'em! Cons: Passes everything but a gas station! Small for family, but my kids love riding in it. Runs hot except in high-altitudes such as Colorado. Blast From The Past — Without a doubt, the 1969/1970 era of Mach I and Boss's will never be seen, nor matched again. This Pony stays in my garage and will be an even rarer breed in years to come. I'll let my four boys sort it out when I'm gone! Pros: Classic. Not many of these left. Cons: Hard to find parts sometimes. Rates Up With My Favorite Car As This Car Was The First I Ever Owned — I bought this car while I was in the Army. It was my first car and looking back I couldn't have chosen a finer car. Now owned by a very smart guy who wouldn't sell this back for any amount, jerk. I only regret that I don't still own this beauty as it is so extremely valuable today. This car would cost you today in even just reasonable shape from $50k and way up from there depending on a lot of factors. In mint condition, all matching numbers this car can be in the $250k range at Barrett Jackson Auto Auctions AZ. everything is matching. Pros: Just everything about this car was beautiful, the power, handling, looks. 1970 Convertible Mustang — I loved the thought of getting a classic convertible! I always wanted a convertible 1962 - 1964 convertible Impala, & now I've got this 1970 Mustang convertible. Since picking it up, waiting for the impala to drop in my lap won't be as bad of a wait! Pros: Convertible. Classic. Mustang. Don't ned too many more pros than that! Cons: My convertible needs alot of work. I Wouldn't Trade It. — When it was running it rode ruff but was a blast to drive. I bought it in 1986 my junor year of high school. After high school I joined the Army drove it when I was in the Army at Ft Sill OK. I plan on restoring it. Not For The Weak Or Nervous — What can i say if you like the smell of exhaust the rumble of a cleveland and the push into the seat you get when you step on the peddle ... then this car is for you ....not to mention the joy of washing it on a cool summers night ... then out for a quick rip! !